Amateur Radio on the International Space Station (ARISS) inspires students, worldwide, to pursue interests and careers in science, technology, engineering and math through amateur radio communications opportunities with the International Space Station (ISS) on-orbit crew. Students learn about life on board the ISS and explore Earth from space through science and math activities. ARISS provides opportunities for the school community (students, teachers, families and community members) to become more aware of the substantial benefits of human spaceflight and the exploration and discovery that occur on spaceflight journeys. 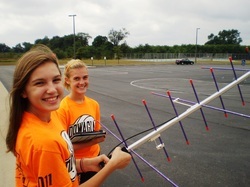 Students have the opportunity to learn about space technologies and the technologies involved with space communications through exploration of amateur radio. Amateur Radio organizations, and space agencies in the USA, Russia, Canada, Japan and Europe sponsor this educational opportunity by providing the equipment and operational support to enable direct communication between crew on the ISS and students around the world via Amateur Radio. Hundreds of Amateur Radio operators around the world work behind the scenes to make these educational experiences possible. Amateur Radio is a popular hobby and a service in which licensed participants operate communications equipment with a deep appreciation of the radio art. ARISS was created and is managed by an international working group, including several countries in Europe as well as Japan, Russia, Canada, and the USA. 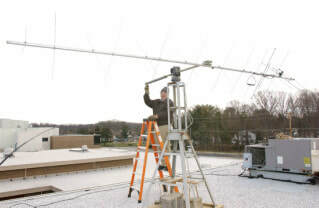 The organization is run by volunteers from the national amateur radio organizations and the international AMSAT (Radio Amateur Satellite Corporation) organizations from each country. 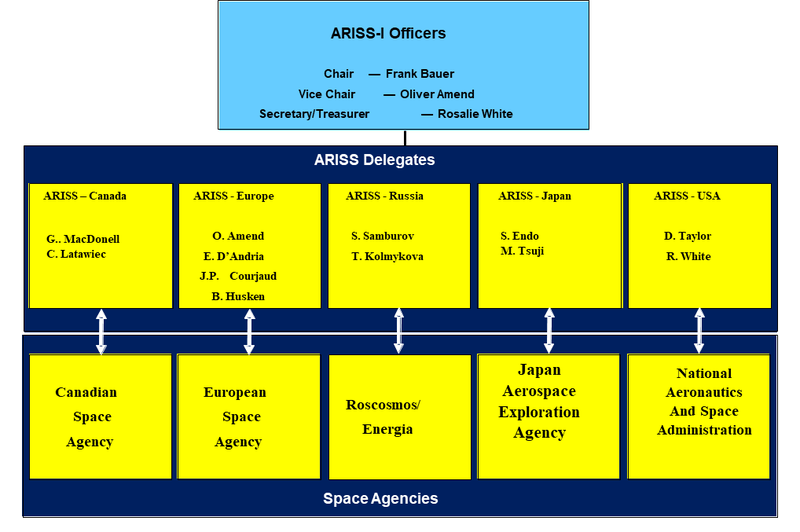 Since ARISS is international in scope, the team coordinates locally with their respective space agency and as an international team through ARISS working group meetings, teleconferences and webinars. Astronaut Sunita Williams, KD5PLB, talking to students from the ISS ham radio station. Because the ARISS program supports the testing and installation of amateur radio stations aboard the ISS, astronauts have the equipment available to also make unscheduled ham radio contacts with radio amateurs all around the world on a one-to-one basis during their personal time. With a very limited investment in amateur radio equipment, licensed hams, including students who have access to amateur radio stations in a classroom, can make individual contact with astronauts aboard the ISS by learning to follow the published orbital schedule and practice some basic amateur radio contact techniques. The international team donates approximately $5 million per year of in-kind support to the ISS program, primarily through technical and educational volunteer support to the schools, flight hardware development, and contact operations support. In the U.S., the primary ARISS sponsors are NASA’s Space Communication and Navigation (SCaN) organization and the Center for the Advancement of Science in Space (CASIS). They provide financial support to fund the cost of ARISS operations support in Houston, which permits contact scheduling, crew training and crew ham radio licensing. ARISS-International organization consists of five regions (Canada, Europe, Russia, Japan and the U.S.) paralleling the five ISS space agencies. The ARISS Operations Team is made up of ARISS Technical Mentors, scheduling/technical representatives, and an orbital prediction specialist. An ARISS Operations Lead is selected from within the ranks on a periodic basis. This group meets weekly by telephone conference and much more frequently via e-mail and telephone. ARISS Technical Mentors are the experienced radio amateur volunteers who work with the schools, teachers, and local Amateur Radio groups that actually make the contacts with the ISS. Scheduling/technical representatives work within the space agencies, primarily NASA in the USA and Roscosmos in Russia, to secure the final schedules for the contacts. These scheduling representatives also coordinate training of the Astronauts in the use of the equipment on board the ISS and procedures for its use. The orbital prediction specialist does the long and short term predictions necessary to support the scheduling of all of the contacts.